Handling yarn reels in textile industry by means of an industrial manipulator model LIFTRONIC® is a smart solution that Scaglia INDEVA® has been offering to Companies in the textile industry sector since 1975. The typical end effector for handling and rotating reels and uploading them unto a creel is the INDEVA® orbital tool head. The Liftronic® manipulator with an orbital tool head can be column mounted with articulated jointed arm or overhead rail mounted with or without articulated arm, or it can be mounted on an order picker (Liftruck). 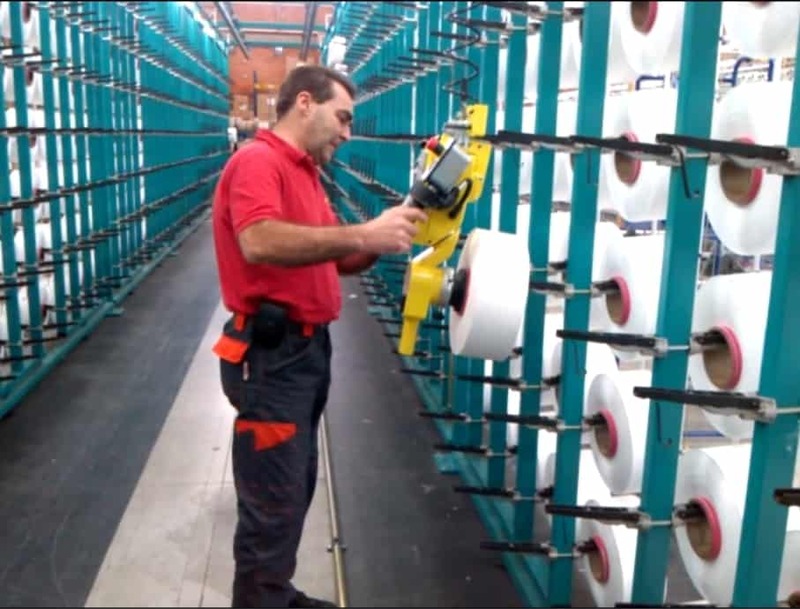 Large Companies such as UNIFI in the USA and many others have repeatedly purchased this material handling solution ’cause it has significantly improved their overall productivity as well as safety standard; read about the advantages provided by using a Liftronic® INDEVA® mounted on an order picker for handling yarn reels . This INDEVA® Liftronic® with orbital tool head has been recently installed in the production unit of a large textile Company in South America.